Simple Plan debuted a new song titled "Lucky One" live at their sixth annual Simple Plan Foundation benefit event last night (November 12th) in Montreal, Canada. You can watch a fan-shot video of the performance below. 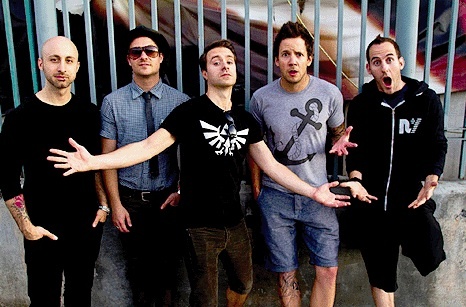 The track is expected to be taken from Simple Plan's upcoming EP, that drops later this year.